Plan a trip to Geneva, Switzerland and stay at the Four Seasons Hotel des Bergues, when you book your travel across WhataHotel! enjoy Exclusive Complimentary Perks that are sure to please. This Four Seasons opened its doors back in 1834 and still remains a top choice for the jet-set as well as world statesmen. This landmark locale is situated on the banks of the Rhone and is a haven for travelers searching for a hotel with not only classic style and a rich history, but also the necessary modern conveniences. 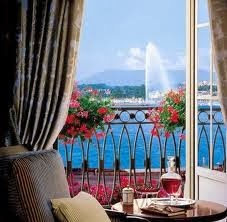 Uncover the beauty of Geneva while enjoying comfort and calm with a stay at this luxurious award-winning hotel. 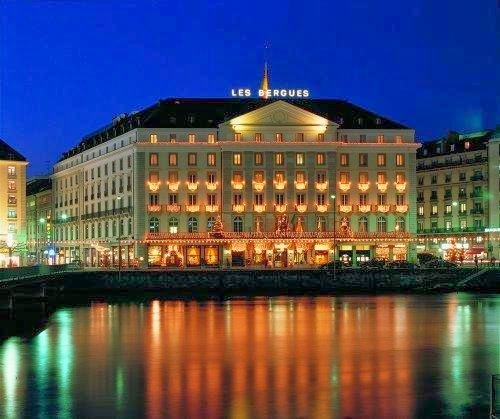 Four Seasons Hotel des Bergues is one of the few hotels in this city that sits near this stunning section of water. Located near the city's financial district, many of the famed tourist sights and also close to some of the best shopping, this Four Seasons offers guests not only picturesque views but also a prime address. Guests of the Four Seasons Hotel des Bergues have access to many top amenities ensuring a fabulous stay. There is a 24 hour business center, coffee and tea service with danishes in the lobby, a 24 hour fitness facility and activities for both the young and old. Guests can also enjoy a Travelcard pass that gives them access to Geneva's transportation network and a multilingual concierge ready to assist you with excursions or dinner plans. 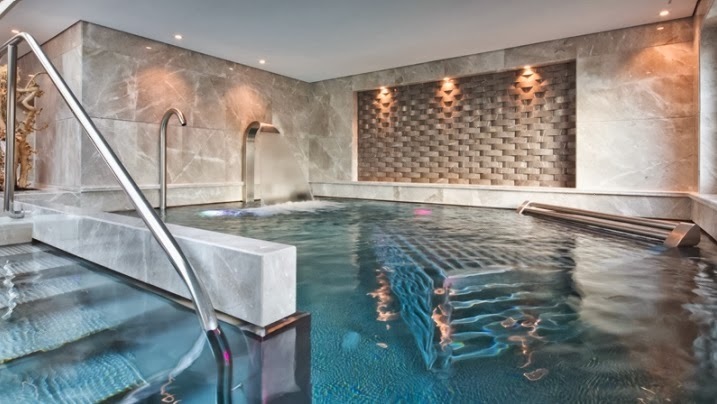 This beautiful hotel also provides a stunning indoor pool for relaxation and/or exercise and of course the warm and inviting Spa Mont Blanc that presents guests with a range of fabulous treatments. Two restaurants and a delightful lounge allow guests to experience divine dining options and a wide range of specialty cocktails. Il Lago overlooks the Place de Bergues, the public square, and delights with a menu of tempting Italian fare while Le Bar Des Bergues is a great place to go for a light meal and a chat with friends. 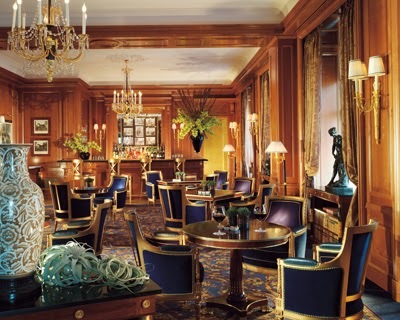 Four Seasons Hotel des Bergues is one of the Best Hotel's in Geneva, encouraging guests to not only enjoy the character and charm of this fabulous city, but also to revel in the sophistication and quality found at this gorgeous hotel. When booking your travel with WhataHotel! 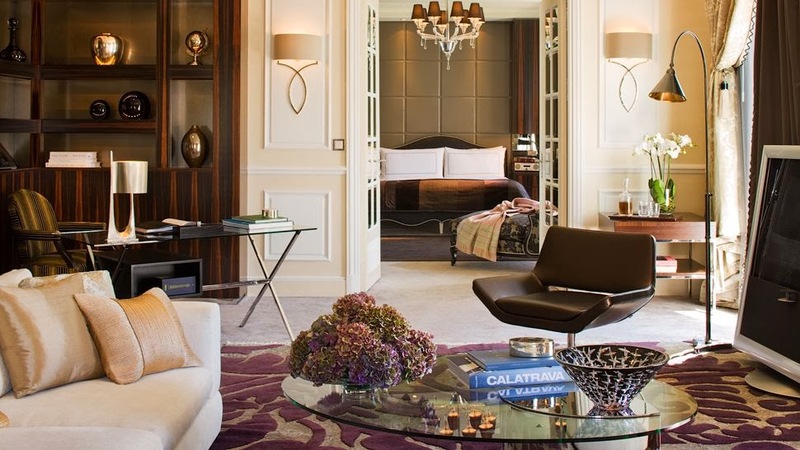 at Four Seasons Hotel des Bergues, guests can discover Exclusive Complimentary Perks for a unforgettable trip. These perks include available upgrades at check-in, a full American breakfast for two daily, a $100 spa credit, and high-speed internet access. These impressive benefits add to the incredible service and exemplary accommodations found at this great hotel. Tourists of every age can enjoy this perfect European city, and Four Seasons Hotel des Bergues will absolutely make all of the necessary arranges to provide an incredible stay.